AOMEI Provides the easiest backup service for About 20,000,000 Users, And Also AOMEI Partner Programs are supported by Over 60,000 Partners Worldwide. AOMEI Tech is working day and night, and also we pick out every details just want to server our customers with the easiest backup service. Now AOMEI products are widely used all over the world. AOMEI has delivered the great satisfying solutions to many top companies, which provides them with new revenue opportunities. AOMEI Technology strives for a WIN-WIN long-term partnership with all the Small & Middle Enterprise and all corporate. Always Secure Global Data Safer. What others say and do about AOMEI from the world? 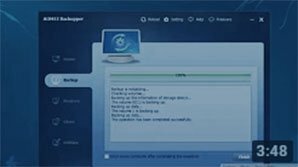 Among the free programs we tested, Aomei Backupper Standard wins primarily because it has the most features,including imaging, file backup, disk cloning, and plain file syncing, plus multiple scheduling options. It's the fastest software we've tested so far for backing up full disks and partitions." As partitioning software, Aomei Partition Assistant is as good as any program I’ve seen.The standard version is more than adequate for most users, and the pro version is as good as it gets. I have some nits concerning,but the Windows To Go trick trumps those gripes big time. While you're at it, maybe grab today's bonus deal (the hard drive) and then start using Aomei Backupper Free,a freeware backup utility that's "specially designed to protect your system and files against ransomware." AOMEI Partition Assistant Standard (formerly Home) Edition would seem to be the most powerful and capable freeware disk partition utility we've tried. It's highly recommended for all users, and especially those with multidisk systems. Aomei Partition Assistant Standard is an easy-to-use tool to help you set up and manage partitions on your PC's hard drive. The program provides all the functionality you'd expect, and some you might not. When you need to deploy/restore Windows 7 image files to multiple computers or clone system disk to multiple computers in a same LAN to install system on dozens of computer, Are you irritated because it takes a lot of time and energy to achieve them. For novice users, AOMEI Backupper is a good PC backup solution. The interface prioritizes the backup and restore processes and provides little room for user error, making it one of the easiest apps to use. While the backup and restore speeds weren’t the fastest in our review, they were above average, and the compression rate was the best in our tests. Overall, this is an excellent PC backup app. AOMEI Backupper is a backup, sync, clone, and restore software for Windows systems. Its parent company is a Chinese firm named AOMEI Technology that specializes in offering backup solutions, cloud storage management, and hard disk partition management for business and personal users. The product was launched in 2009 as a solution for files, disks, and backup systems on Windows-powered machines. Following are some video from Youtube. If you want to check more videos, you can log in to Youtube and then search “AOMEI” on the website. How to clone a hard drive using free software available for personal and business use. AOMEI Backuper, a free backup and restore software tool with many features. How to Create Complete System Backup and Restore Using AOMEI Backupper. Millions of users have benefited from AOMEI products. AOMEI provides the easiest backup service and safe partition manager to all users. Here are several testimonials from our users of AOMEI Backupper and AOMEI Partition Assistant. You can click here to know more testimonials from more users of AOMEI all products. Just used AOMEI Backupper to migrate my HD to my new SSD. After using other utilities (like DriveImage XML, that cloned, but never left the SSD bootable) I didn't expect AOMEI to succeed where they had failed, but was pleasantly surprised and everything worked, and I now have a new, bootable SSD. Nice. Hey guys, Just wanted to let you know that your free disk partition management software is great. I had upgrade my laptop to an ssd from an hdd, and I was left with over half of my drive's storage space being unallocated and not part of the C drive (very annoying but probably my fault) I was having trouble finding a free software that could merge the two for me because they were not adjacent. Anyway after trying multiple other solutions and other software your software worked perfectly and was very simple and easy to use. Thank you guys so much for the smart program. Last year, AOMEI brings over million Dollars to our affiliates and reseller. Many top company OEM/white label AOMEI products to use or resell. We also help our users to solve their problem with the recommend software from our partners. The following are some, but there are many AOMEI partners from the worldwide. AOMEI puts its channel partner first and made them successful with it. You will gain and have gained more profits and reputation from AOMEI software. There are different partners can be AOMEI reseller, such as the following. Ebay is one shop website. AOMEI authorizes the store named techie-com to sell AOMEI software on Ebay.com. This reseller performance well sales and support AOMEI all the time. SoftwareONE is one of the international software resellers. AOMEI also has other such kind of reseller such as SHI, Comparex and ect. If the users need to buy backup and partition software, Softwareone will help them to ask the quotation from AOMEI. SoftwareONE usually does buy AOMEI Backupper and AOMEI Partition Assistant from us. Unicomp does supply the computer service and IT support in Germany. He is one of the AOMEI active AOMEI reseller. They resell AOMEI products when their customers need backup service to protect the system and data. AOMEI Backupper is suitable for small and medium business to build the network protection. If you believe AOMEI and support AOMEI software, you can be our resellers. AOMEI Other kind of resellers such as Hardware Company, IT Technician, Microsoft MVPS, PC Repair Store and ect. They are from different countries from world, but they are doing same thing that is reselling AOMEI software and all of them get big profit with AOMEI. OSToto Co., Ltd, known as world's leading Windows driver software provider, has embedded AOMEI’s free backup software AOMEI Backupper Standard to the software Driver Talent. Kentima is an industrial PC manufacturer. They create the bootable USB with AOMEI Backupper. And then distribute that bootable USB with AOMEI Backupper to their customers. They also integrate AOMEI OneKey Recovery to the computer and then sale the computer. Eurochannels Technology Aps is an online shop for hardware such as computers and CPU. Eurochannels integrate to AOMEI OneKey Recovery to their machines. They sale the machine with AOMEI OneKey Recovery. OPEQ, a renown charity organization, does supply the IT service to the lower-earners. AOMEI OneKey Recovery was integrated to the computer and was sent to the people who needs help.AOMEI OneKey Recovery will help them to easily backup and recovery system. Seca does use AOMEI OneKey Recovery for creating a system recovery on their laptops for easy one-button recovery. They sell laptops with installed AOMEI OneKey Recovery software to customers for realizing good customer experience. SPAN, is trusted vendor and partner of global leading retailers. He does contact AOMEI to customize AOMEI Partition Assistant for McDonald. AOMEI will add command line feature to AOMEI Partition Assistant according the requirements of McDonald. AhelioTech is reviewed as one of the top rated IT companies in Columbus, Ohio. He has rebranded and customized software interface of AOMEI OneKey Recovery to supply the IT service. Their customers will use the software with their brand to solve the problem. Geovision company produces PC based NVR machines using Windows 10 embedded OS. They customize AOMEI OneKey Recovery and then preinstall it on all of their machines which will be sold to their customers. If there is system crash, the users can easily do the system restore with the customized AOMEI Recovery. AOMEI does rebrand AOMEI Partition Assistant Pro Edition to the bhv-software, the trusted software and IT eBooks provider. And bhv will provide sales and marketing for the full suite of the new customized product, System Go Partition Manager, targeting German local users. Avitres, specifically specializes in selling backup software. AOMEI does white label AOMEI Backupper to the brand name Avitres. They will sell it from their website to customers across the United States. Because the solid quality of AOMEI software, they also need to white label AOMEI others products such as AOMEI Partition Assistant, AOMEI OneKey Recovery and ect. Do you always worry data loss when you do something of the computer? Then, why not backup your system, disks and files in advance, and once accidents happen, restore them all back immediately. AOMEI Backupper Standard is an all-in-one backup, sync, recovery and clone software which is free, the easiest and faster for users, even you aren't an IT expert. 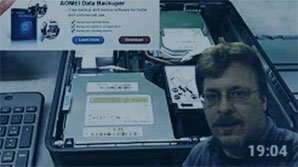 AOMEI Backupper Professional is a reliable backup software utility that allows users to prevent permanent data loss when the operating system experiences unexpected issues. This Professional edition supports system/disk/files/partition backup, restore and clone, as well as schedule backup, merge images, dynamic volumes backup, UEFI boot and GPT disk backup. The powerful partition manager and complete hard disk management tool. Create, resize, move, merge, and split partitions without losing data to maximize disk space use. Help our customers to solve their more problems, we cooperate many companies such as Lespeed Network Technology, Wondershare Technology and Drive the life. For example, to prevent computer from driver crashes after partitioning hard disks, we recommend our users to use Driver Talent to scan and update the hardware device drivers. Driver talent is developed by Drive the Life company. To recovery lost data, we recommend our users to use Recoverit. With advanced deep-scan algorithm goes deeper into the data structure, Recoverit brings a record-high data recovery rate of more than 96%. Recoverit is developed by Wondershare Technology. Established for software resellers to grow products and add great financial benefits. AOMEI supplies competitive reseller price to support resellers grow their business. Integrate AOMEI products into software or hardware to enhance the value of your solutions. This will help partner to solve the problem of their customers, which does lower your support cost. What’s more, you will get the huge commission from AOMEI. OEM AOMEI products so it is fully aligned with your own company’ style and brand identity. You can change everything from name, interface, and interaction to website links. AOMEI products can be customize and rebranded to use, to supply service or even to resell. Designed for marketers who represent AOMEI products on the websites to earn more money. AOMEI pays up to 70% commission from sales and provide marketing materials. As a responsible and trusting software producer, AOMEI acknowledges that wonderful products shall be shared with our customers. Nowadays our products are mainly distributed through the Internet. If your products are safe and useful, or if you would like to share AOMEI products to your users, we would like to cooperate with you. AOMEI gladly provides free NFR licenses of our products to the certified professionals, who provide resources and guidance in the community, such as Microsoft MVPs, VMware vExperts and etc. AOMEI aims to secure the global data to be safer all the time. Represent one of the most widely recognized names in data protection and provide your clients with the easiest backup service and safe partition tool. AOMEI product will help you to enhance your products, boost your profits, and grow your business. Establishing cooperation relationship with AOMEI, you will get the fast ROI. Please download the trial versions to test and make familiar with AOMEI Products. Email us at [email protected] to join AOMEI Partners.